We, The Bordentown Sewerage Authority, are aware that there is a third party payment service called “Doxo“. Please keep in mind that if you choose to use “Doxo” to make a payment they will send us a paper check on your behalf. This process can take up to a week and therefore, your payment is not automatically applied to your account. Your payment will be credited to your account on the day it is received at the Authority’s office. 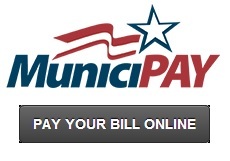 If you wish to pay your bill online directly to The Bordentown Sewerage Authority please use the Municipay link provided below. This payment service will allow us to credit your payment to your account the next business day.